We’d love your help. 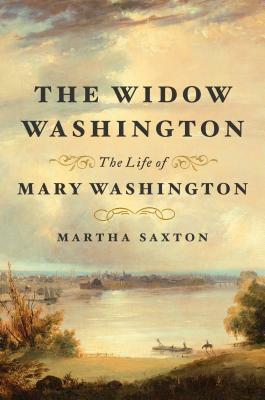 Let us know what’s wrong with this preview of The Widow Washington by Martha Saxton. The Widow Washington is the first life of Mary Ball Washington, George Washington's mother, based on archival sources. Her son's biographers have, for the most part, painted her as self-centered and crude, a trial and an obstacle to her son. But the records tell a very different story. Mary Ball, the daughter of a wealthy planter and a formerly indentured servant, was orphaned very young and grew up in an atmosphere of work, frugality, and piety. She married the older planter Augustine Washington and had five children with him before his death eleven years later. As a widow deprived of most of her late husband's properties, Mary struggled to raise her children and secure them places among Virginia's elite. In her later years, she had a contested relationship with her wealthy son and struggled with fears of poverty and helplessness. To ask other readers questions about The Widow Washington, please sign up. CHARGE (What is the author trying to say? ): To explore why Mary Ball Washington, the mother of George Washington, has never been recognized for her influence on t’he life of George Washington. FACTS: With the author’s acknowledgment of the lack of primary sources about the life of Mary, Ball, she then goes on to spend much effort outlining how her life might have unfolded. This proved rather tedious. The prologue states: “I am not normally drawn to write about women whose fame derives from men or about slaveholding women.”Rather than simply stating history, she tries to rail against it. One example: “Mary’s status in those formative and porous years as a slave owner at or before her third birthday, and her daily intimacy with her independent mother, contributed to her air of command.” I find that ludicrous. I doubt she realized she owned slaves at the age of three! Orphaned at age 12, Mary was raised by an older sister and married the widower Augustine Washington at the age of 22. Mary’s first child, George, was born on February 22, 1732. Much of what follow are generalizations of child-rearing practices of the time, not specific experiences of the Washingtons. When George was 11 his father died. The Washingtons’ life from that point was described as “austere.” The author offers no indication that Mary had any unusual influence over George. With her lack of education and provincial nature, it seems quite impossible that Mary had the effects on George that the author theorizes. The number of footnotes made the work very unreadable. VERDICT (Was the author successful? ): Not guilty. This book was a disappointment. Thank you to Net Galley and the publisher for providing a copy of this book in exchange for an honest review. I clearly remember during my freshman orientation at Mary Washington College (now the University of Mary Washington,) being asked if anyone knew who Mary Washington was. Of course we know her as the mother of our country’s first president, but not much is known about her as a person. Martha Saxton does a fine job painting a picture of what Mary Washington’s life was like, drawing from lim Thank you to Net Galley and the publisher for providing a copy of this book in exchange for an honest review. The Widow Washington by Martha Saxton is about, what some might say, a misunderstood woman of history, Mary Ball Washington, the mother of George Washington. Mary had her strengths and weaknesses. Yes, she was a religious, hard-working woman in a time that was definitely not a friend to the female gender. The cards were stacked against her, and in some circumstances she came ahead and persevered. In others, you were pushed to dislike her in how she treated others , , in what I would call , misse The Widow Washington by Martha Saxton is about, what some might say, a misunderstood woman of history, Mary Ball Washington, the mother of George Washington. Mary had her strengths and weaknesses. Yes, she was a religious, hard-working woman in a time that was definitely not a friend to the female gender. The cards were stacked against her, and in some circumstances she came ahead and persevered. In others, you were pushed to dislike her in how she treated others , , in what I would call , missed oportunities and chose the wrong path. Also, she could have made better moral choices in regards to how she treated her servants (aka the word I despise...slaves). It was hard and horrid enough for how they were treated, yet she did not make it any easier for them. A fascinating read thatgave me more insight to this historical figure then I ever thought possible.